Being injured as a result of someone’s negligence is a stressful experience. Adding to that stress is finding a personal injury lawyer who can fight for you to get appropriate compensation. Trying to decide among slip and fall lawyers in Burlington, Oakville, Milton or Hamilton can be overwhelming. Chances are that you have never had to think before about what you need in a personal injury lawyer. Knowing the characteristics to look for in a slip and fall lawyer will help you make this important decision. In this difficult time, you need a lawyer who will be approachable and empathetic. Your personal injury lawyer should listen to your needs and explain the law as it applies to your case in a way that you will understand. These matters can be intimidating at the best of times. During a time when you may feel sensitive, you need a lawyer who is supportive and takes a personalized approach. Your personal injury lawyer should be available, attentive and ready to answer questions. A slip and fall lawyer must be well-prepared. They must thoroughly understand all aspects of the law and not neglect any factor in your case. If they are not prepared, they cannot act quickly. This is vital in a slip and fall case, which can have a notice period as short as seven days. Whenever you are seeking legal advice, it is imperative to make certain that the lawyer you are consulting is trustworthy. While this much is obvious, it can be more difficult to say exactly what that means. What sorts of qualities would make you give your trust to a firm? Meticulousness is one of the foremost characteristics of the best slip and fall lawyers. Your personal injury lawyer must ensure, for example, that you did not contribute in some way to the incident. “Contributory negligence,” as it is known, can reduce your claim for damages. Your personal injury lawyer should examine all aspects of the law to ensure that you get the compensation you deserve. Finally, they should be meticulous in communicating all of this information to you. You need to be fully informed of your legal rights and know what will make your case a success. 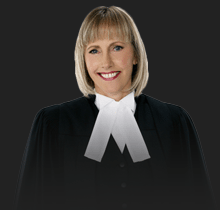 You need to be able to feel that the lawyer handling your case is dedicated to getting you the best possible outcome. No matter how knowledgeable the lawyer, if they are not passionate in the pursuit of your interests, they cannot fully represent you. When you are choosing a slip and fall lawyer, don’t settle for someone who treats you and your case impersonally. In order to take action quickly and effectively, a personal injury lawyer must be highly organized. Choose a law firm with the experience and expertise to build your case. Call KCY at LAW today (905) 639-0999.